Do you know someone who is changing the world? Is their work inspiring but not widely known? The USC Center for Religion and Civic Culture is launching a global project on spiritual exemplars: people who are advancing human development, grounded in spiritual beliefs which enable them to face the challenges of working on the world’s most difficult issues. 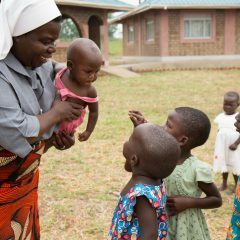 We want to profile people like Dr. Denis Mukwege, Jamila Afghani or Mama Maggie — or the person in your faith community who is committed to changing the world. 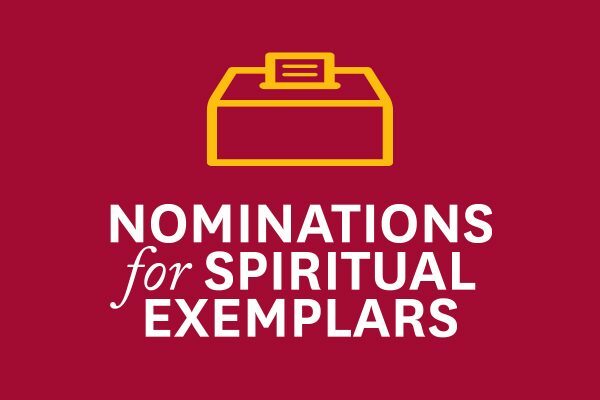 We invite you to nominate spiritual exemplars from around the world. You can help us assemble a diverse group of exemplars, representing a broad range of geographies, races and religions, including individuals who do not adhere to a particular tradition. Over the next few years, CRCC seeks to profile 100 exemplars across the globe. We aim to tell their stories, raise their profiles and come to a better understanding of how spirituality inspires and sustains them. You may nominate somebody whether or not you know them personally. The nomination form asks you to fill out a few questions detailing why you think the person should be profiled as part of this project. CRCC’s “Spiritual Exemplars: A Global Project on Engaged Spirituality” is funded by the John Templeton Foundation and Templeton Religion Trust. It aims to explore how engaged spirituality motivates and sustains exemplary individuals’ commitment to advancing human flourishing. Journalists, social scientists and religious studies scholars will create case studies, podcasts, short documentaries and written profiles. We greatly appreciate your contribution to the Spiritual Exemplars Project. If your exemplar is selected for the project, and you have indicated your ability to assist us in contacting this individual, a staff member will be in touch with you. Thank you for taking the time to nominate a spiritual exemplar.